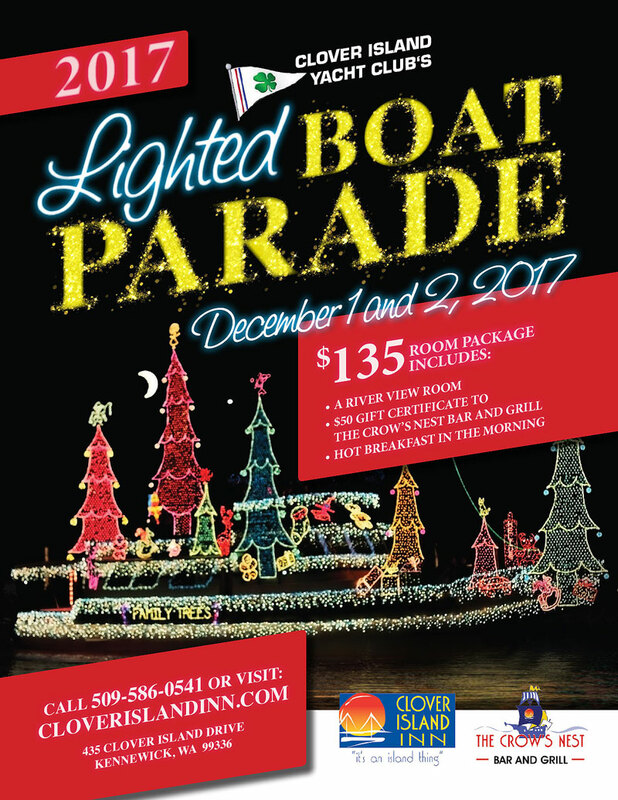 Enjoy the Lighted Boat Parade this year from your river view room or the Crow’s Nest Bar and Grill! Offering a room package that includes a $50 gift certificate for the Crow’s Nest for $135! River View sleeping rooms are starting at $94, make your reservation today HERE! – and Hot Breakfast in the Morning! We have a great location to watch the parade from our sleeping rooms and restaurant.